The past few months have been a very exciting time in Prince George and Northern BC, and there is more to come. The launch of the Northern BC Ale Trail finally put a spotlight on this region and its great breweries. Northern BC winners at the 2018 BC Beer Awards included Barkerville Brewing, whose 52 Foot Stout took silver in the UK Stout category, as well as Three Ranges Brewing, whose Tail Slap IPA took gold in the North American IPA category. September in Prince George kicked off with the annual Backyard BBQ. UNBC and its campus pub The Thirsty Moose along with various Northern BC craft breweries teamed up to present a mini-beerfest. 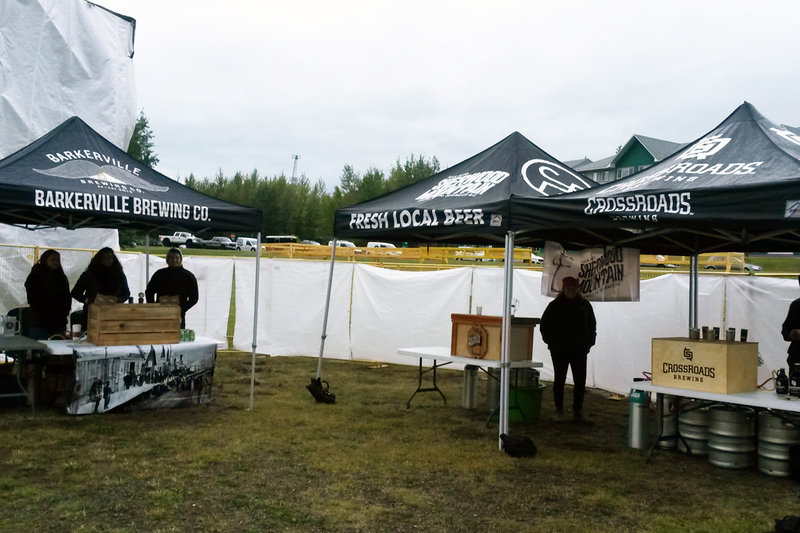 It was the first time craft beer has been served at Prince George’s original outdoor beer festival. CrossRoads Brewing held their third and final 2018 Outdoor Street Festival installment in September. The event featured excellent food, new beers, and great music. October saw Trench Brewing host Trenchtoberfest, a great Oktoberfest event featuring new beers, games and great food courtesy of Hop ‘N Hog Food Truck from Clearwater. Great White Toys, Comics & Games held a Brews and Board Games event featuring CrossRoads beer. Great White also teamed up with Trench Brewing for their Board Game night. Great things have been happening in other parts of Northern BC, too. In Fort St. John, Mighty Peace Brewing held a series of events, including one called Pork and Beer! 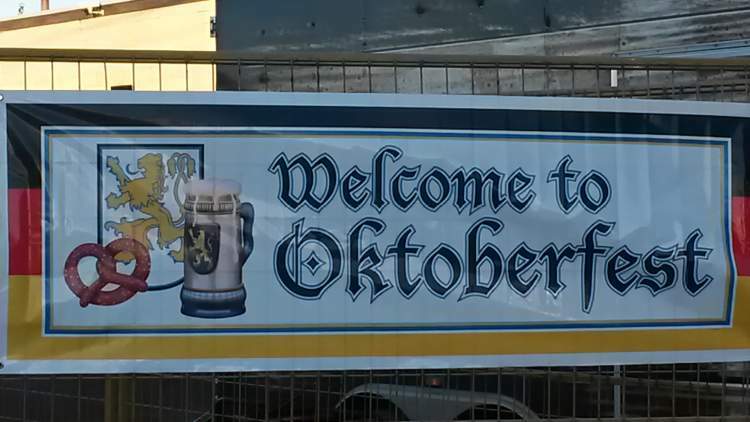 Beard’s Brewing held an Oktoberfest event and will be holding various other events. Many of the Northern BC craft breweries hold joint events. Kask Taproom & Eatery announced the return of the Kask Beer Club. Flights of beers from their taps are sampled and rated using the Beer Judge Certification Program guidelines and are also paired with their tasty food. It’s held on the fourth Wednesday of every month starting in October and is a great way to introduce folks to craft beer. Kask also hosts a Guest Appreciation Night and tap takeovers. Fuggles & Warlock were featured in November. Beerthirst (representing American craft brands and BC’s Deep Cove) will be featured in December. Kiwanis Ale Fest returns January 25-26, while January 24 is Beer Lovers’ Night at the Copper Pig BBQ. CrossRoads beer will once again be served at the CN Center for WHL Prince George Cougars games. The best part is that CrossRoads will have a full booth to feature their tasty beer. There’s a growing community of craft beer enthusiasts in Prince George, who have formed not one, but two Facebook groups. Craft Beer Lovers of Prince George Unite !!! focuses strictly on the beers offered in Prince George and highlights local breweries and establishments. Craft Beer in Northern British Columbia – A Celebration !!! focuses on the entire region and events and acts as an educational avenue for people new to craft beer. The latter group is a spinoff of the Facebook group Craft Beer from British Columbia and Beyond – A Celebration ! The best part of this community is the many gatherings and private tasting nights that are now happening. Here are my top picks in the Prince George craft beer scene. Great things have been happening in other parts of Northern BC, too. In Fort St. John, Mighty Peace Brewing held a series of events, including one called Pork and Beer! Beard’s Brewing held an Oktoberfest event and will be holding various other events. Many of the Northern BC craft breweries hold joint events. Things are vastly improving in Northern BC as a whole; the craft beer revolution has finally arrived. Cheers! previous post: In Profile: Heather Perdue & Old Yale Brewing Co.